Comparing and contrasting shapes requires that students use thinking skills even if they don’t realize it! Quadrilateral: A four sided polygon. (a closed plane figure with edges that are line segments). Parallelogram: A four-sided figure with two pairs of parallel sides. Each pair of parallel sides is the same size. Draw a rectangle with a pair of 2" sides and a pair of 3"sides. Draw a rhombus with 2 ½" sides. Draw a trapezoid with the parallel sides being 3 ½". 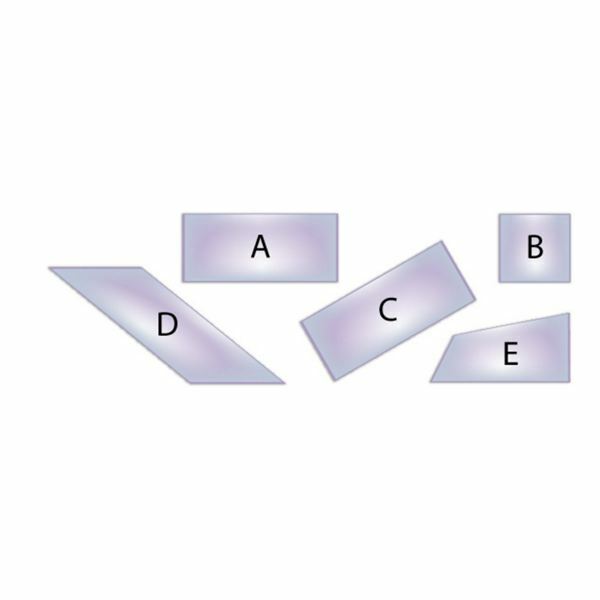 Draw a parallelogram with 1 ½" sides. Draw a quadrilateral figure that is not a parallelogram, any size. Hold up a figure that has two pairs of parallel sides (can be a rectangle, square or rhombus) Ask students to explain their choices. Hold up a figure with two pairs of parallel sides and all sides are the same length (rhombus or square). Hold up a quadrilateral figure that is not a parallelogram (trapezoid or the last figure they drew). Hold up two figures that must have four right angles (square and rectangle). Hold up a figure that has four equal sides but no right angles. (rhombus). It’s important to take time for students to explain their choices when answers vary. Remind students of the class rules to remain respectful as they participate in the discussion. Use the figures that students made to create individual artwork by designing and gluing them on a plain piece of paper. Trading figures is acceptable. Use crayons or markers to add details. Wingard-Nelson, Rebecca. Geometry: Ace Your Math Test. Enslow Publishers, 2012.